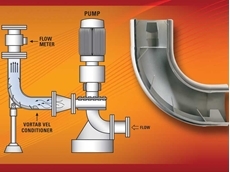 AMS has introduced a new flow conditioner from Vortab designed to facilitate accurate flow measurement in crowded municipal water treatment plants. 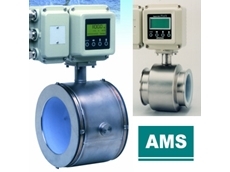 AMS Instrumentation and Calibration introduces the advanced ST75 air/gas flow meter from Fluid Components International (FCI). 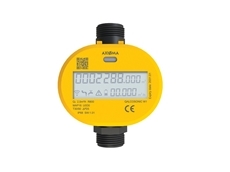 Designed to measure fuel gas, process gas, inert gas, waste gases and air in small line sizes, the flow meters are ideal for optimising the fuel-to-air ratio for plant burner-boiler control, reducing plant fuel costs while protecting the environment. The natural gas and air flow measurement provided by the ST75 flow meter allows process and facility engineers to monitor and control the precise amount of fuel and air needed to fire burners most efficiently. The flow meter is ideal for applications in a wide range of industries including chemical, electric power, food/beverage, advanced materials, pharmaceuticals, semiconductor and more. FCI’s ST75 air/gas flow meter is designed to carefully monitor the mix of natural gas and air consumed by burners in heating plant boilers, ovens, heaters and other equipment to minimise fuel consumption, lower plant energy costs and reduce pollutant emissions. Burners are designed to maximise combustion efficiency while minimising emissions. The ST75 flow meter from FCI is designed for small line sizes ranging from 6mm to 51mm. The ST75 meter provides three unique outputs: the mass flow rate, totalised flow and media temperature. Thanks to temperature compensation, the ST75 meter maintains consistent performance in rugged environments and features accuracy to ±2% of reading with ±0.5% repeatability over varying process temperatures. Its precision flow element has a no-moving parts design that employs platinum RTD sensors embedded in equal mass thermowells with microprocessor electronics calibrated to laboratory standards for a wide range of gases: natural gas, propane, methane, nitrogen CO2, argon, all inert gases and compressed air among others. 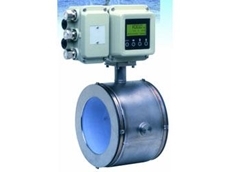 The ST75 flow meter is equally well suited for low flow and high flow operations, and operates over a wide flow range, from 0.01 to 950 NCMH depending on line size. For variable process conditions, the ST75 is factory preset to a wide turndown range at 10:1 to 100:1. 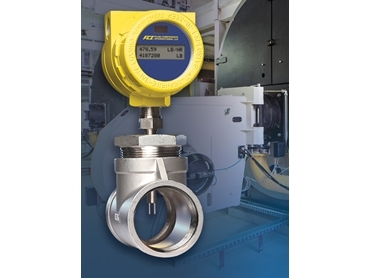 Key features and advantages of the ST75 flow meters include remote mounting capabilities ensuring an accurate and low-maintenance measurement solution for small line size gas and air flow applications in hard to reach locations; suitability for hazardous factory areas and crowded plants where explosive, flammable or toxic gases may be present near transmitting electronics; remote mount transmitter including a full digital display mountable up to 15m away from its thermal mass flow sensor in the process piping and connected via two 0.50-inch FNPT or M conduit connections; and fully scalable dual 4-20mA standard outputs user assignable to flow rate and/or temperature and a 0-1kHz pulse output of total flow. The instrument can be ordered for input power with 18 to 36 Vdc or 85 to 265 Vac, with or without a built-in LCD digital display. 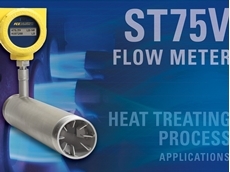 Offering direct-flow measurement for higher performance at a lower cost with proven thermal dispersion technology, the ST75 flow meter eliminates the need for additional pressure and temperature sensors, flow computers, or other devices that are required with orifice plates, Venturis, Vortex shedding, and other volumetric meters. Benefits also include a no-moving parts design that ensures superior service life, and no orifices or inlets to clog or foul, which significantly reduces scheduled maintenance and unplanned shutdowns. The FM and CSA approved ST75 flow meter is enclosed in a rugged, all-metal, dust and water resistant NEMA Type 4X (IP66) rated package designed for Class 1, Div 1 hazardous area installations and includes ATEX/IEC approvals as well as a rugged sensing element constructed with all welded 316 stainless steel and Hastelloy-C tips.